Though the foreclosure crisis that fueled the great recession seems safely over, with foreclosures across the country now reported to have returned to prerecession levels, New Jersey is not out of the woods. In 2017, it led the nation in foreclosures — and South Jersey has the highest rate in the state, according to an exhaustive study by the Rand Institute for Public Affairs at Rutgers University released earlier this month. Researchers found that just six counties in South Jersey accounted for 27 percent of the 70,000 foreclosures in New Jersey in 2017. Homes in South Jersey account for 36 percent or almost 13,000 of the distressed properties for sale in the state this year. When homes go into foreclosure and are abandoned by their previous owners, they don't just reflect a crisis for one family. They add a burden on the homeowners left behind, who have to shoulder a higher share of the property tax burden, pay for upkeep of the vacant homes, and see their own home values decline. To reverse the trend, Rand has a series of suggestions, including recycling the homes into more affordable housing before they fall into such a state of disrepair that they're better off being knocked down. 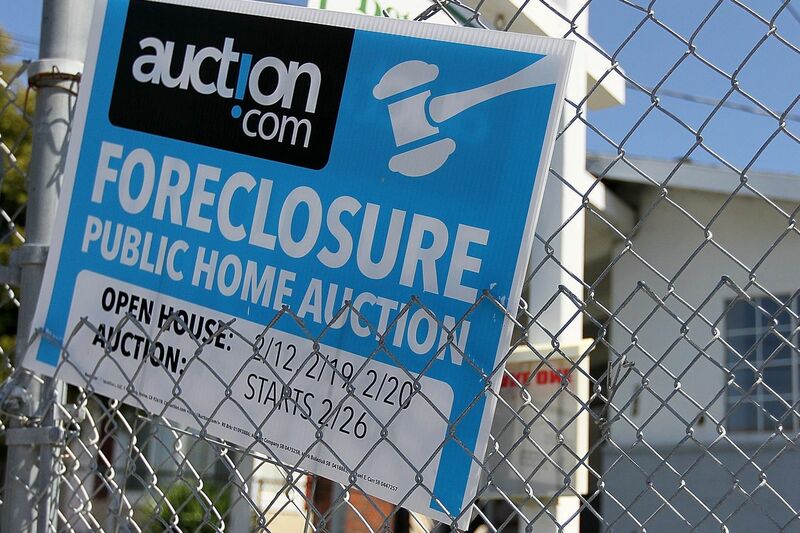 Similar ideas to recycle foreclosed homes failed under former Gov. Chris Christie, postponing a statewide response to the crisis. In contrast, Gov. Murphy campaigned on recycling abandoned homes, but his administration has yet to say how it would make the program work. Murphy should ask the Legislature for help. In September, a Senate committee released a bill that would allow the New Jersey Housing and Mortgage Finance Agency to use bonds to buy foreclosed homes from lenders and turn them over to towns or community developers, which could fix them up and sell or lease them to families looking for affordable housing. The courts also are working to streamline the foreclosure process, which is so protracted that it's become a contributing factor in the high rate of foreclosures, according to Rand. Murphy and the Legislature should figure out a way to make the lending and real estate industries play a part, since their unsavory practices of selling homes and mortgages to people who couldn't possibly afford them fueled the recession. It was made worse by the federal government's ineffective response. Mortgage servicers were supposed to help families get lower monthly payments so they could stay in their homes. Too many servicers failed. The one bone Congress tossed to consumers was the 2010 creation of the Consumer Financial Protection Bureau, which works to ensure lenders only make loans to people who can pay them back. However, the Trump Administration has been trying to dismantle the agency. New Jersey is wise to solve the foreclosure crisis itself, particularly because help isn't coming up I-95 from Washington anytime soon.